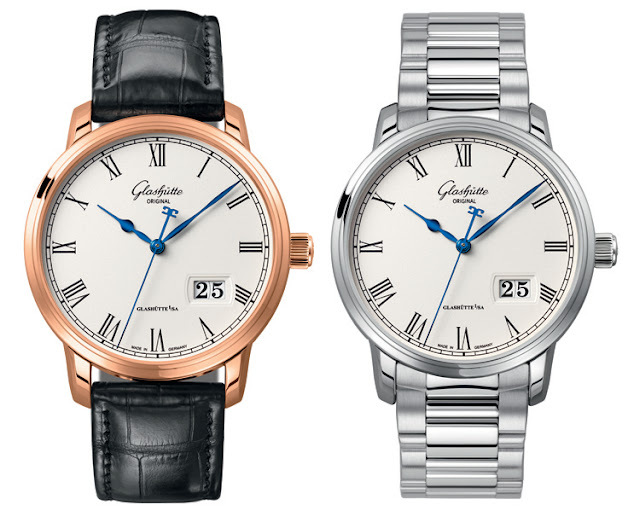 As a preview of the new models that will be unveiled at Baselworld 2013, Glashütte Original presented two new models in the Senator line: the Senator Panorama Date and Senator Panorama Date Moon Phase. The Glashütte Original in-house design team has made a number of changes to the existing models to achieve a new look that is both classic and contemporary at once. The bezel has been cut back to make room for a lacquered silver-grain dial characterised by deep black Roman numerals, a classic black railroad chapter ring, the new blued-steel “poire” shaped hands and, of course, the Glashütte Original’s typical panorama date display. 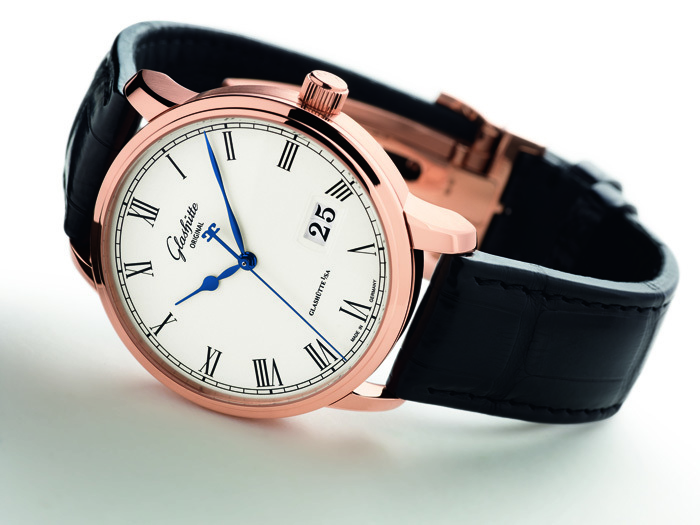 A corrector inset in the case at 8 o'clock resets the second hand to zero. 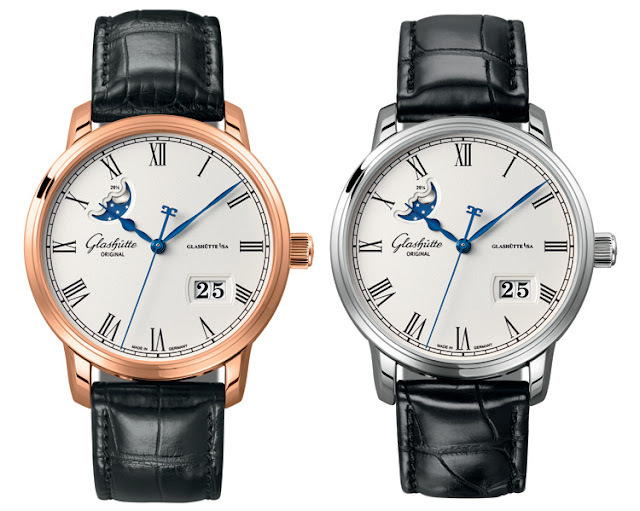 The new timepieces are presented in a 40 mm case both polished and brushed surfaces, either in red gold or stainless steel version with matte black Louisiana alligator straps. 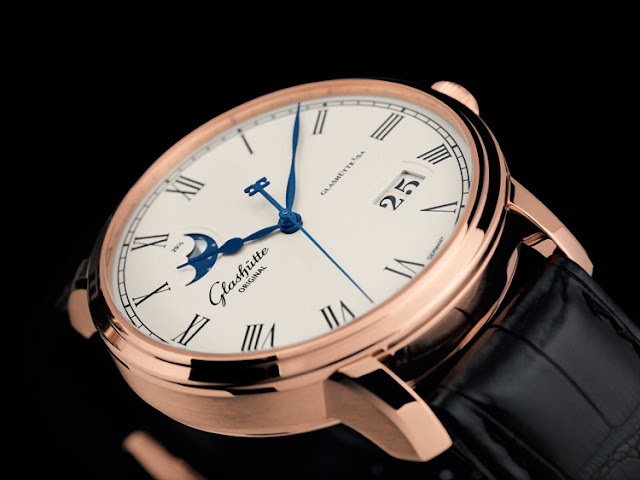 The Senator Panorama Date Moon Phase adds the decorated moon phase display where the polished silver moon moves on a deep blue disk representing the sky. 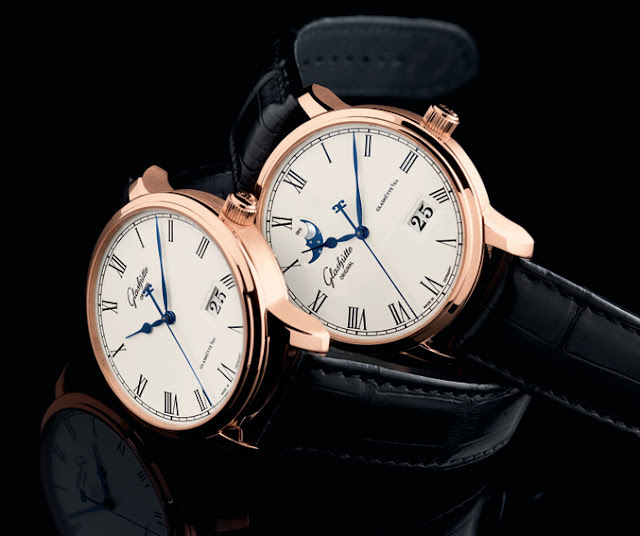 The Senator Panorama Date is driven by the Saxon manufactory’s automatic calibre 100-03, the Senator Panorama Date Moon Phase by the calibre 100-04, both with a 55 hour power reserve. 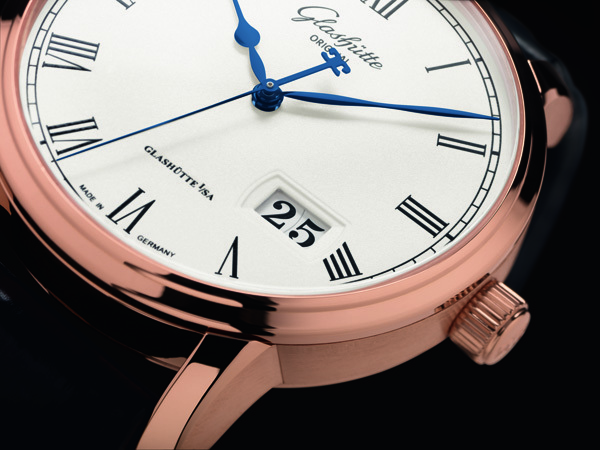 Through the sapphire crystal, set in the case back, it is possible to admire the high finishing of these movements: screw balance with 18 weighted gold-coated screws, twin spring barrels, swan-neck fine adjustment, skeletonized rotor with 21-carat oscillating weight.